5h a.m. - 7h a.m. The Chinese zodiac animal sign Rabbit (卯) reacts sensitively. The zodiac sign Rabbit likes to be surrounded by beautiful things. Therefore is their home and clothing style elegant and tasteful. The Rabbit’s tendency to prefer luxury goods could downright bring out peculiar hedonism. Persons who were born in this zodiac sign are showing an obvious diplomatic talent. In their search for freedom, they try to avoid quarrel and all disputes. Fortunately for them, the quarrel is ceased, and for the settlement of disputes, a course has already been charted. 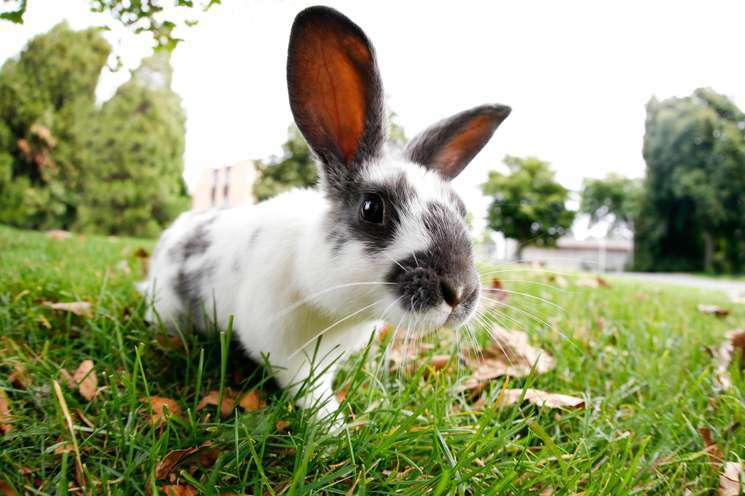 Rabbits try to give assistance to their companions and have an expressed in a shape to empathize with companions. They would do no harm. The drab of everyday life has nothing in common with them. They might get lost in daydreams and sometimes hey ponder or ruminate about life… They are quite self-critically and have a trace of uncertainty. But they don’t like to show her feelings. The Rabbit is intelligent enough to turn its plan and desires into reality - without being helpless at all. For its great love, the Rabbit does everything. It is full of romance and the close relationship means everything to the Rabbit. Quarrelsome behavior is never shown and would be hidden. The Rabbits emotional favorites are persons born in the zodiac animal signs of Goat or Sheep, which are equal, the Pig and the Dog. More problems might be given by the Rooster. The problems are arising from too significant differences. Earth Rabbits are more reasonableand more level headed than their Rabbit conspecifics. However, the zodiac sign of the Rabbit has a thoughtful mind and considers things and developments with indulgence. Passionate, ambitious and fiercely competitive: People with the element fire represents confidence and impatientness– bursting with strength. Innovative projects, renewals and improvements in general are set on the list. Defying all odds they are regrettably haunted by pure egoism and their predominating behaviour won’t be welcome. On professional level they dominate the upper floors of the managers and members of the executive boards. The element of fire breaks through the Rabbit’s reserve. Although conflicts are not its business the Fire Rabbit faces them. It rather lives its emotion and is able to handle interpersonal behaviour. But in the case of being disappointed the Rabbit would show its furious side. It needs the constantly popularity of companions and friends. These kinds of persons prefer feeling the ground beneath their feet – close to their adequate element wood. Wood Rabbits endeavour a maximum certitude in life. They collect material and non-material goods by maintaining of ethic and attitude to morality. Wood Rabbits are open-minded towards development and improvement. They bring up projects and ideas with persuasion and assertiveness towards lucrative sustainability. The Water Rabbit - which represent the synonym term - shows itself adaptably towards distinct forms of changes – in contrary towards the Metal Rabbit, which reflects more resistance. Variable conditions and dependence are accepted without hesitation and doubt. The element of water makes the Rabbit react much more sensitively and brings forth even more empathy. The Rabbit develops a fine sense of intuition. If any problems or trouble should appear, the Water Rabbit crawl into the corner – creeping away. Peolpe with the element metal are strong, firm and high principled. They are controlled when other are upset – keep calm within challenging situations. Obstinate and with ambition - they follow their imagination and is equally goal orientated. In contrary to other Rabbit types the Metal Rabbit individuality isquite rigid and firm. Difficulties do not occasionally destabilize this type of Rabbit. The Metal Rabbit, however, has a clear and logical mindas well - is responsible and an almost perfect self-estimation. Like all the other types of Rabbits they are emotional and they might develop profound sensations.